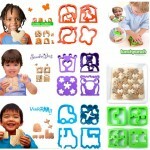 These fantastic new sandwich cutters are special, easy, fun and healthy: Now you can cut off that unappealing crust and transform your kiddies’ sandwich into a healthy, fun, interactive and educational experience. 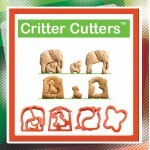 The Critter Cutters set comes with 4 friendly animal shapes: mother and baby elephant dog in.. 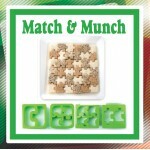 Match & Munch™ set includes: 2 piece puzzle 4 piece “corners” puzzle .. 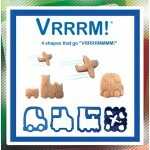 The VrrRRMM! 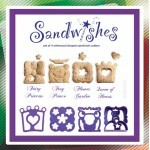 !™ Lunch Punch® is different from any sandwich they’ve ever eaten before..
We’re pleased to announce the new Sand*wishes*™ whimsical shapes set. Sandwishes&trad..